Strategic customers can rest assured they are receiving the highest quality QAD products and services from a company founded on extensive ERP experience. The Strategic management team has many years combined experience in ERP consulting, ERP implementation, operations management and related fields. The team has been instrumental in the success of top consulting and manufacturing firms across North America. Doug brings over 30 years of operations management, hands-on consulting and consulting management experience to Strategic from a wide variety of experience ranging from Big 4 consulting firms to global, industry-leading manufacturing firms. 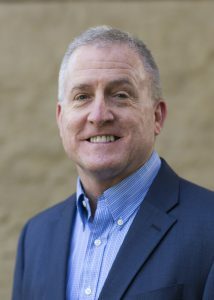 His information technology expertise ranges from leveraging opportunities for growth and rapid ROI from the implementation of leading enterprise resource planning (ERP) solutions to customer relationship management, supply chain management, quality management and web enabled business-to-business and business-to-consumer solutions. Doug’s QAD expertise dates back to the latter 1980’s when he led some of QAD’s initial implementations and still maintains consulting relationships for these early adopters of QAD Enterprise Applications. Doug has also led QAD implementations while an industry operations manager, and has assisted hundreds of QAD customers implement, upgrade and obtain maximum utilization from their QAD investment. Doug’s varied career from consulting to industry experience has given him the opportunity to witness first hand the power and rewards of successfully implementing technology in the marketplace. Doug has also earned APICS certification (CPIM) and ERP vendor certification (QAD). Doug is an accomplished public speaker and trainer having spoken at QAD international and user group conferences, and APICS conferences. Doug is a founding member of multiple APICS chapters. Doug holds a BSIE from the University of Nebraska and an MBA from the University of South Dakota. Ray currently leads Strategic’s nationwide consulting team. He has over 20 years of experience in Manufacturing Operations, QAD Consulting and Project Management. During his extensive career Ray has successfully led and managed dozens of QAD implementations encompassing all manufacturing verticals and company sizes. Ray has extensive experience with life sciences companies, their regulatory requirements, and is an expert in all aspects of enterprise software validation. Ray joined Strategic in 2002 as Director of Consulting Services and was promoted to Vice President in 2007 and Senior Vice President in 2011. Ray’s proven leadership and people skills have made him a critical component to Strategic’s success. In addition Ray is an accomplished public speaker and trainer and has authored software implementation and upgrade methodologies. 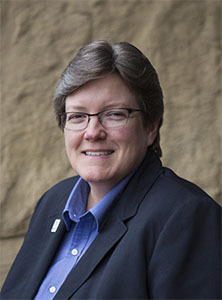 While in the manufacturing industry Ray held various senior management positions of increasing responsibility at Iten Industries, Babcock Wilcox, and Motorola, Inc. in Quality Assurance, Manufacturing and Environmental Health Safety. Ray received his Bachelor of Science in Mechanical Engineering from the University of Akron. He is a Certified Quality Engineer and a member of both the American Society for Quality and APICS. Ray currently serves as a Board Member of the California QAD User Group. John Graham is a key member of Strategic Information Group’s (Strategic) senior management team and helps oversee Strategic’s North American consulting team. John has over 25 years of experience in Operations Management, Information Technology, Quality and consulting. John has a track record of helping companies achieve rapid business turnarounds and has significant experience in multiple levels of merger and acquisition activities from both a systems and business process perspective. 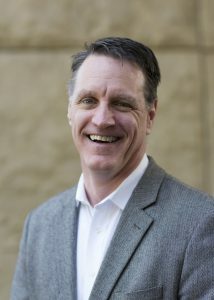 John joined Strategic in 2007 as Director of Consulting services and was promoted to Vice President in 2011. 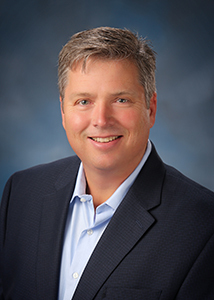 Prior to Strategic John served as the CIO and General Manager at Atlantis Plastics, a QAD customer and $400M plastics film, extrusion, and injection molding company with 16 manufacturing plants and over 2,000 employees. At Atlantis Plastics John helped the company increase profitability by over 30% despite dropping sales. Prior to Atlantis Plastics John held various management and senior management positions at Baxter Healthcare, Gallus Systems, and Choctaw Maid Farms. John’s excellent communication skills and strategic planning capabilities make him an asset to Strategic and to our customers. In addition John is an accomplished public speaker and is a frequent presenter at industry conferences. John currently serves as the Co-Chairman and Director for the Southeast QAD Users Group and is a member of the QAD Customer Program Advisory Group for North America and Europe as well as the QAD Process Manufacturing Advisory Group. John received his Bachelor of Science and MBA from Mississippi State University. Mike is a key contributor to Strategic Information Group’s senior management team with the responsibility of leading Strategic’s nationwide sales and marketing teams. He brings over 25 years of experience with Enterprise Resource Planning software and services, with special focus on Automotive, Industrial and Life Science companies. Mike’s professional experience has been dedicated to servicing customers in the QAD community for over 15 years. Mike joined Strategic in 2013 as the Director of Sales. He is a seasoned operations and sales manager for software and consulting firms, serving in leadership roles that include Senior Account Executive, VP of Sales, and also General Manager for another QAD channel partner. Early in his career, Mike held the position of Operations Manager for a leading manufacturer of automotive components. Mike received his Bachelor of Science in Packaging from Michigan State University and his MBA in Management from Wayne State University. He takes an active role in QAD User Groups (MWUG and SEUG), participates in the QAD Explore customer conference, and appears at targeted industry conferences. Tim Rabaut serves as a Vice President of Consulting Services for Strategic Information Group. He is a seasoned project manager and team leader with over 19 years of QAD ERP experience. Tim’s background in finance and business management, along with his experience implementing and managing QAD systems help drive measurable value for Strategic customers. As a Business Development Manager with Strategic, Tim was responsible for shepherding new enterprise-level consulting services projects through vendor short-listing, solution design and presentation, to proposal development and final negotiations. He has served as the project manager for several large QAD implementation projects, including leading a successful turnaround for a struggling QAD Cloud implementation project. Recently Tim led the successful post-acquisition integration of RCM Technologies with Strategic. Since joining Strategic in 2014 as Director of Consulting Services, Tim has taken on roles of progressively greater responsibility. Prior to joining Strategic, Rabaut was Senior Financial Analyst for General Dynamics Services Company. While at Mayflower Vehicle Systems, Inc. he served as QAD Implementation Project Manager / IT Manager and Controller. Tim holds a bachelors’ degree in Financial Administration from Michigan State University and studied Business Law and European Economics at Erasmus University in the Netherlands. Suzy brings over 28 years of audit, financial management, operations management and supply chain management as well as hands-on consulting experience to her role as a key member of Strategic Information Group’s (Strategic) management team. Suzy achieved triple certification in QAD in 1998, and has been actively involved in the community ever since, providing implementation and consulting services, training, and presales support. While she is focused on Life Science, Automotive and Industrial companies, Suzy thrives on assisting active and prospective customers of all kinds envision the myriad ways in which QAD Enterprise Applications can help them become a more effective enterprise. Suzy joined Strategic in 2011 as a Solutions Architect and was promoted to Director of Solutions Architecture in 2015. Previous roles include CFO/COO of an international sourcing company, Business Unit Manager, Supply Chain Manager, Plant Controller and various consulting and accounting positions. Suzy received her Bachelor of Science in Commerce from The University of Virginia. She is a frequent presenter at regional QAD Customer events and participates in the annual QAD Explore user conference.